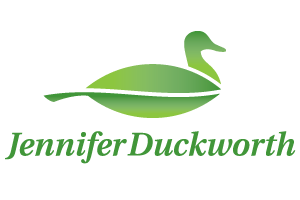 The following links are to websites for which Jennifer provides services or that are recommended environmental information and products. Essex County Environmental Commission - The Essex County Environmental Commission provides advice, outreach and education to the office of the Essex County Executive, Board of Chosen Freeholders and the municipal Environmental Commissions in order to protect, restore and renew Essex County's natural resources and to increase environmental awareness, ensuring that all Essex County citizens can enjoy a healthy environment and an enhanced quality of life within a sustainable regional community. Jennifer is serving as a member. Millburn Environmental Commission - The Millburn Environmental Commission oversees the identification, preservation and protection of the Township's environmental resources. Jennifer served as both the Chairwoman and a member. Cora Hartshorn Arboretum - The Cora Hartshorn Arboretum is an historic woodlands garden and educational institution that promotes an understanding of the relationship between people and the environment through programs that integrate arts, sciences and the humanities. ﻿Jennifer sits on the Board of Trustees. Greenfaith - New Jersey's Interfaith Environmental Organization. Jennifer sat on the Board of Trustees. Idle Free New Jersey - New Jersey Environmental Federation's Idle Free website with information about the problems with unnecessary idling of vehicles. US EPA NPDES - The United States Environmental Protection Agency's National Pollutant Discharge Elimination System website about wastewater permits. Jennifer designed the site and database elements for this site. CHEC's Health ehome - Resource for environmental health risks affecting children. EWG's Children's Health - Environmental Working Group’s Health/Toxics: Children's Health website provides links to Skin Deep: Cosmetic Safety Database, Sunscreen Guide, Shoppers Guide to Pesticides in Produce, and other environmental health topics. Shaklee - Cleaning and beauty products that Jennifer uses in her home. Laptop Lunch - Lead free lunch box helps provide a waste free lunch. Pyrex Storage Containers - Glass storage containers to help kick the plastic habit. If you have a question, please e-mail or call me to discuss your environmental needs and I will reply as soon as possible. You can also visit my blog, the Guilty Environmentalist, although I am also guilty of not blogging regularly. Add a comment today! Idle Free New Jersey Presentation - Addresses common misconceptions about idling presents vehicle idling in New Jersey, and tells you what you can do about idling. NJ DEP Idling Summary - Overview of New Jersey's idling requirements for motor vehicles. NJ DEP Idling Enforcement - Information about enforcement of New Jersey's idling program. Order form for NJ School Idling Signs - Form created to facilitate ordering of signs for schools with idling regulations. NJ Bicycle Manual - NJ DOT's Bicycling Manual 2011. ﻿I am OK - Jen's 9/11 Story - Documents Jennifer's 9/11 experience. Handouts from Presentation - Websites for Future Exploration, What You Should Know About Plastics and Personal Care Products and Your Health.